Mumbai: Former Indian cricketer Ravi Shastri has, on Monday, been appointed as the head coach of the Indian cricket team, after the Cricket Advisory Committee (CAC) interviewed five candidates, a day before. 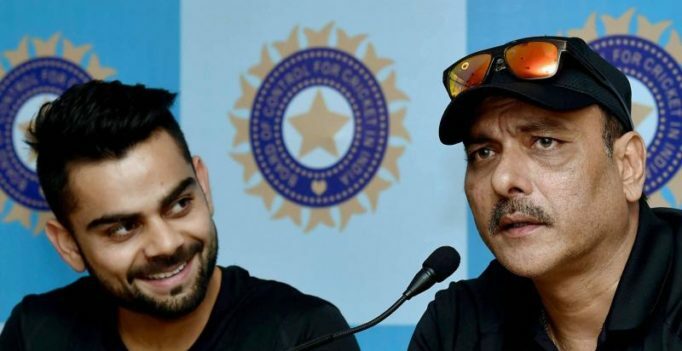 Shastri had been one of the favourites to take over from former head coach Anil Kumble, as he is said to be on good terms with captain Virat Kohli and other cricketers, after serving a two-year stint as the Team India director from 2014 to 2016. During his tenure, Ravi Shastri had steered the Indian cricket team through a difficult tour of Australia. His tenure also saw Team India make it to the semifinals of the 2015 ICC World Cup and the 2016 ICC World T20. After postponing the decision on Monday, the CAC, comprising of Sachin Tendulkar, VVS Laxman and Sourav Ganguly, on Tuesday, selected Shastri as the new head coach. While it was expected that the announcement of Team India head coach would be made on Monday, the day when CAC interviewed the five candidates, Ganguly, in a press conference said that the committee will want to speak with Kohli before announcement. “We will hold on for time being for the announcement of the coach. We feel there is no hurry at the moment. We need to talk to a few people, especially the captain (Kohli),” said Ganguly. “Virat will also need to understand how the coaches will operate. We want the best possible thing,” he further said. While Ganguly and Co had delayed the announcement of naming India coach, the former India skipper had clearly stated that whoever is put in charge will be India coach till World Cup 2019. “Once we make this announcement, it has to be till the World Cup (2019),” Ganguly had said while addressing the media in Mumbai on Monday. It was also reported that Vinod Rai, chairman of Supreme Court-appointed Committee of Administrators, has told BCCI to appoint India coach by Tuesday evening. Shastri, who was always a frontrunner for the post since the moment he sent across his application for the role, pipped the likes of Virender Sehwag, Tom Moody, Richard Pybus and Lalchand Rajput. BCCI were on a lookout for a new India head coach after Anil Kumble resigned from the post following the conclusion of ICC Champions Trophy. While Kumble enjoyed tremendous success in the role, differences with Kohli led him to step down from the post one year since his appointment.